Emerald shape wire basket tie tack with clutch back. Clutch back is base metal rhodium finish and matches the tie tack perfectly. Pre-notched and ready to set. 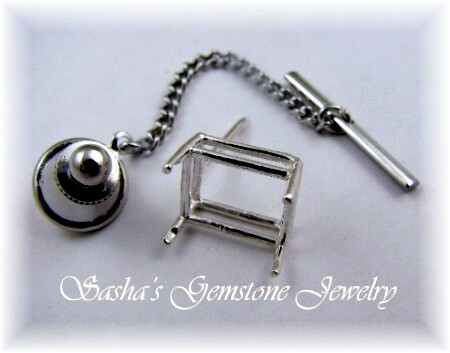 Copyright Sasha's Gemstone Jewelry. All Rights Reserved.